While I'm all for enjoying the moment, especially when travelling or being on holiday, I also like remembering my experience. I like to think I have a good memory but I don't think memory, alone, is enough to remember our favourite travel memories so I choose to document these memories. I document my memories in various ways. Firstly, the obvious: taking photographs. I usually post some of these on Facebook and then keep the rest on my laptop. However, recently I've started printing photos off. With so many online photo printing services it's pretty cheap and easy to get your holiday photos printed. Getting 300 photos printed in one go was a bit of a stress though! There's only so many times I can deal with the internet dying and half my photos not being uploaded! I tend to use Snapfish. There's also apps that let you have 50 free prints a month, all you have to pay for is the postage. 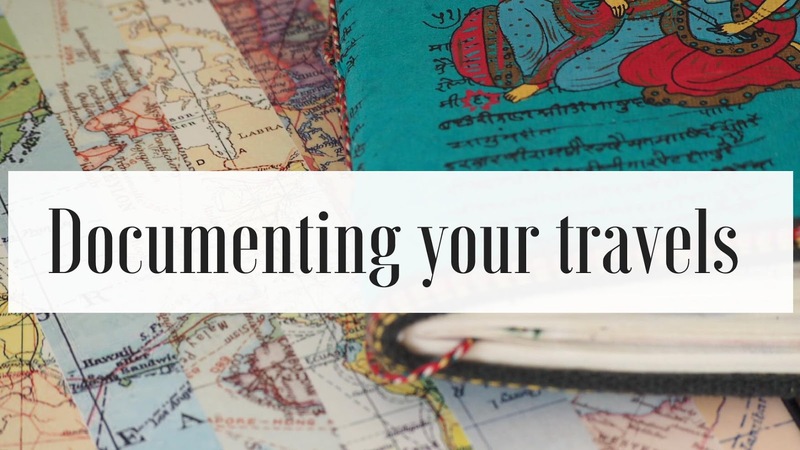 I've began to document my travel memories in various different ways so thought I'd write a post sharing how I document my travel memories! This I guess might be stating the obvious. However, before starting university I hardly ever got any photos I'd taken printed off. They usually ended up being transferred onto the laptop. I now print off my favourite photos from each trip. Some photos I print end up in a photo frame, most end up in a photo album and some are saved for my travel scrapbook. I think it's great to be able to flick through the pages and look at the pictures rather than just looking at them on a laptop screen. You don't have to take a camera, phone cameras are fine for trips too. In fact, I only took my phone on my first backpacking trip as I didn't want to carry my big camera around. I've now purchased a more travel friendly sized camera and take that on my travels. I'm not a photo snob but I do found that photos I take on my camera are a lot better quality than my phone and so I end up with better photos from my trips. I'd always loved the thought of keeping a journal whilst I was on the go travelling and finally decided to keep one when I went Interrailing. I have to admit I didn't end up finishing it on the trip and had to do so once I was back at home but it was fun to write the diary and stick in souvenirs whilst I sat on long distance buses! 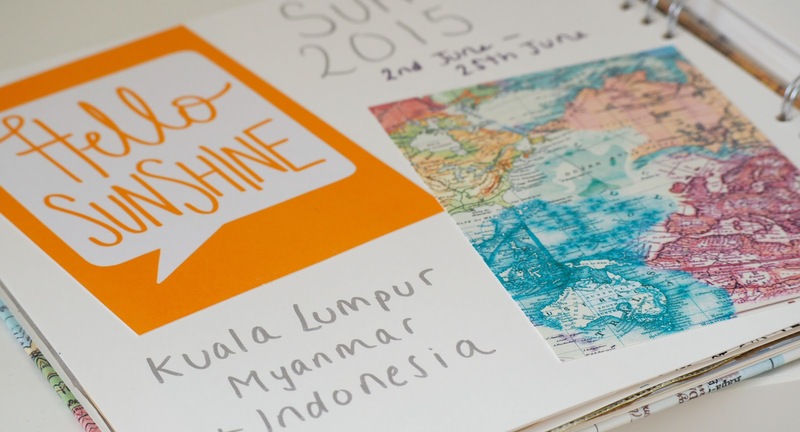 A bit hefty due to the awkward shape but a great way of documenting moments from your trips. I love the effect you get from a polaroid picture. Taking normal pictures is great but these, I feel, are a bit more personal. I have an Instax mini and I'll most likely take it with me to SE Asia, although I'm still weighing it up (quite literally) because I may regret taking it when I have to carry it around. 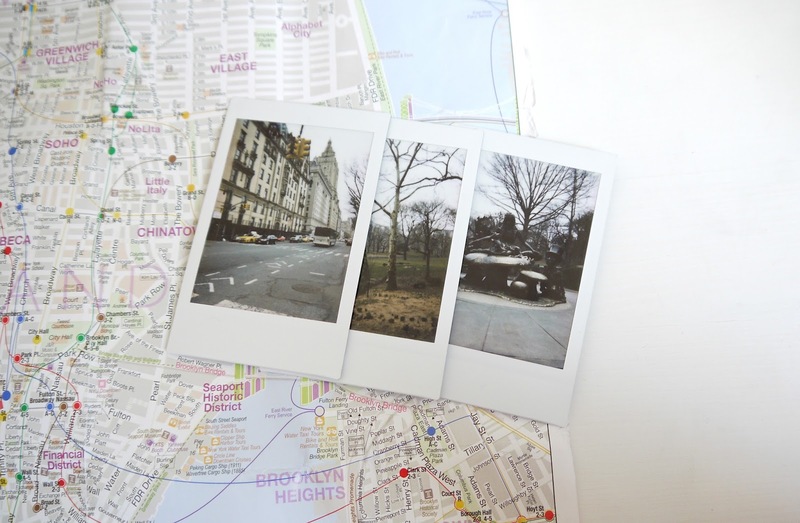 I take it with me on shorter trips such as my trip to New York, although I hadn't quite figured out how to get good polaroid pics outside but practise makes perfect and I haven't had a blank one in a while! These don't necessarily have to be ones you buy, I do occasionally buy actual souvenirs and always get a postcard (more on that in the next section) but I also keep all of the tickets and leaflets from attractions etc. I ended up with a lot of stuff on my Interrail trip, I think because it was Europe there was more actual tickets for activities rather than in Asia where most tickets are just a piece of paper unless you're going to a well known sight. Some people like collecting magnets or key rings I always collect postcards. Firstly, they're easier to carry around and secondly I like to put them in scrapbooks. On my most recent trip around Europe I started not only buying postcards for my scrapbook but actually sending one home from each place. This meant I basically had a diary entry and a stamp from each place I visited. This was actually my mums idea and I'm going to continue doing it on my future trips. It does cost more because you're paying for a stamp but it was great to come home and re read all of them. All of the leaflets, maps, tickets etc that I collect make their way into my scrapbook. Some things I just add to my memory box if I have too many things from one place or if anything is too big for the scrapbook. I also add pictures I've printed from my trip and polaroids into my scrapbook. My scrapbooks vary, I began by printing off pictures just on normal paper and sticking them in but now I've started putting actual photos in as I find they look better. 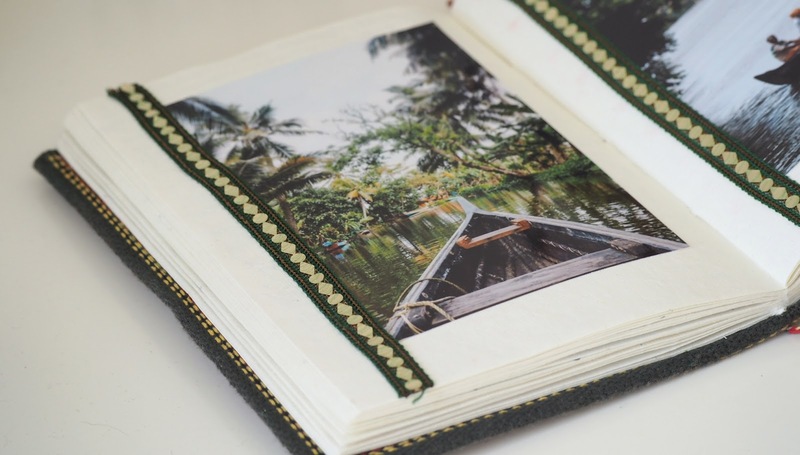 I'm not the most creative person but I really enjoy making scrapbooks as I can put everything from the trip into it and a bit of writing about that particular place which makes it a bit more personal than a standard photo album. 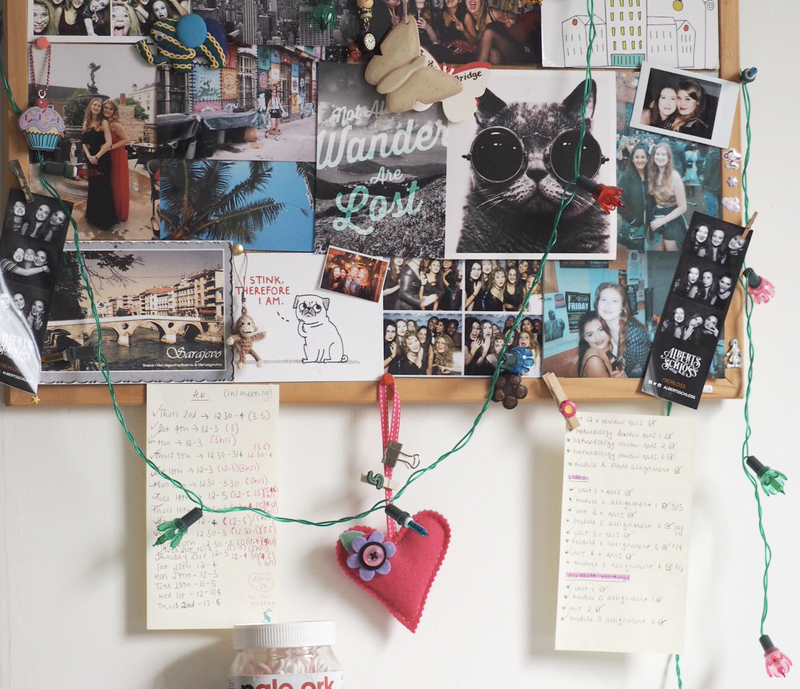 I've had a noticeboard in my room for years. It used to just have random bits and bobs on but since getting home from university I've made it into a picture board with a collection of pictures from university and my travels. I also have a very boring dentist appointment on there but it's mostly a collection of memories. This hangs over my desk and always brings a smile to my face as there are so many good memories on the board. How do you document you travels?